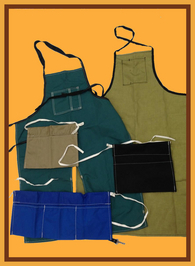 We Manufacture Three Apron Types: The Bib Apron, the Waist Apron and the Chaps Style Apron. 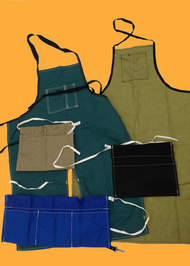 • Budding & Nail Aprons come with Two Pockets. The Staple Apron has one pocket. Designed to Cover the Leg they are made of Canvas, Vinyl or 1,000 Denier Nylon. We Manufacture Various Harness Styles for Olive, Cherry, Berries and Nut Buckets. 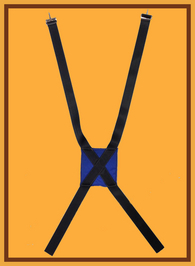 We also carry a line on Back Support Belts call or email us for more information on these Quality Products.